It matches the entry-level iPad on most features as well as price. The first Chrome OS tablet knows exactly what it wants to do: Take on the iPad. 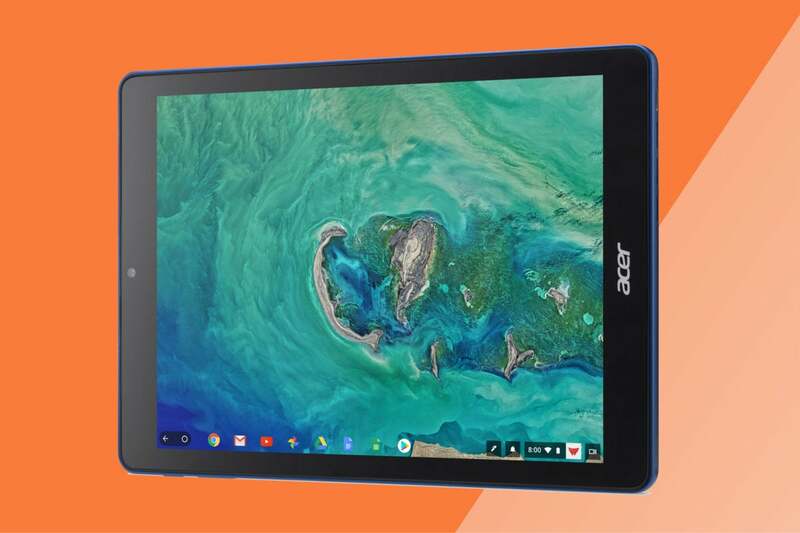 Acer’s Chromebook Tab 10 D651N challenges Apple’s long-popular tablet in the education market nearly feature for feature. We’ll dive deeper into the specs in a moment, but let’s savor the historical weight first. Chrome fans have been waiting a long time for their own tablet. A small group of Chromebooks with 360-degree hinges have dabbled with the concept, but Acer’s Chromebook Tab 10 D651N, which will ship in April, finally commits to the form factor. Now that Chrome devices support Android, tablets like this one make even more sense. We hope this is the beginning of a trend. Dimensions and weight: The iPad wins. Tab 10 D651N: OP1, a Rockchip processor integrating a dual-core Cortex A72 and quad-core Cortex A53. We wrote more about it here. Memory: The Tab 10 wins. 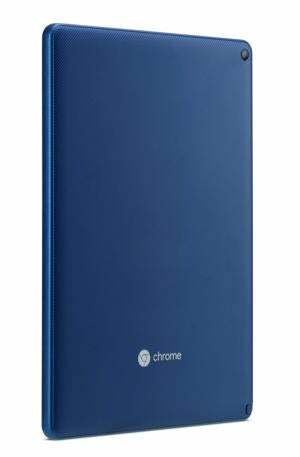 Acer’s Chromebook Tab 10 comes in a trendy cobalt blue. Camera: The Tab 10 has two, but the iPad’s is higher-resolution. Pen support: The Tab 10 wins. Networking: iPad gets an edge with newer, faster, safer Bluetooth 4.2. Ports: The Tab 10 D651N wins. You see this USB-C port? Acer’s Tab 10 has one. The iPad has nothing. Battery life: The iPad’s looks longer, but your mileage may vary. As you can see from the specs, these tablets are practically nose-to-nose on specs, with the few differences often too close to call. With the advent of Acer’s tablet, Google finally has something small and simple, just like the iPad. Why this matters: The lack of a Chrome tablet has allowed Apple’s iPad to retain a competitive edge in schools. We won’t know how well the Tab 10 D651N will be received until schools start to commit to hardware purchases for next year. A new iPad is also expected to be revealed at Apple’s “Field Trip” educational event in Chicago tomorrow. Given how quickly Chromebooks have dominated in schools, however, bringing a tablet into the mix certainly doesn’t hurt. We could be in for a great playground fight.